Home/Knowing Yourself, Self-Esteem + Identity Issues/Can You Be Your Own Best Friend? Have you given yourself a hug today? If allowing a hug for yourself seems too hard, how about a pat on the back? Is that not feeling right either? When I think back over my growing up, the messages I received about loving myself was that it was SELFISH, even BAD. I absorbed this and never thought much about it…until I began to feel that something was not right. 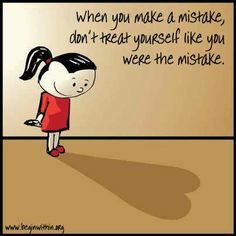 Each and every time I made any kind of mistake or didn’t measure up to where I thought I must be, I was full of negative self-talk and self-defeating messages. What if we didn’t beat ourselves up over making mistakes? Could we accept instead, that making mistakes is part of our glorious imperfect humanity? Mistakes are how we learn and strive to reach beyond what we ever thought possible. A best friend would be there for us and remind us of that. 4. Knows all our faults and loves us all the same. 5. Can level with us honestly, with humor, caring and support. 6. Is someone we trust enough to open ourselves up to and be vulnerable. Maybe you can just picture your best friend hearing you out when you’ve been hurt or disappointed. You can call on your best friend when you’re feeling lost and overwhelmed. Our best friend knows us so well and is not turned off or away by our quirks, fragilities or the mistakes we make. 1. Grow your awareness of negative self-talk. When we tell ourselves we are “stupid” because of a poor choice or mistake, we label ourselves as “bad”. 2. Challenge your negative self-talk. ” No…I wasn’t stupid…but I did make a mistake”. 4. 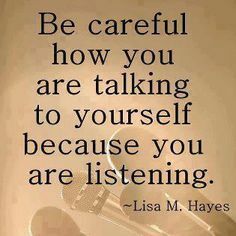 Be aware of how your negative self-talk hurts you. It’s pretty hard to believe in oneself when we keep calling ourselves names! 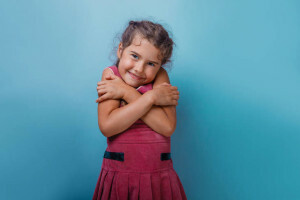 Have you given yourself a hug today? Give it a try and see how good it can feel!